WMSPanel has a set of APIs which allows requesting aggregated pre-processed data and take it into customer environment for further processing. Recent real-time and in-depth stats APIs give ability to request data on entire account level selecting data for all available servers and data slices. Some of our customers need to provide access to their own clients so they could make their specific analysis. 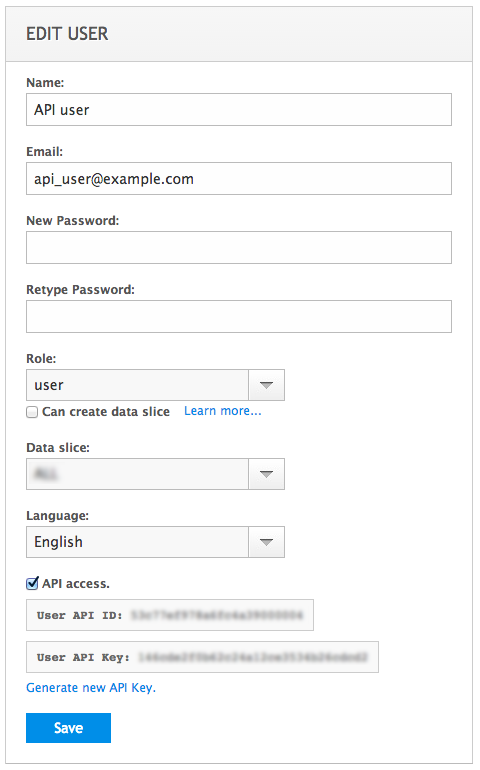 WMSPanel now allows that as well as account-wise API access. End user may now access data which is visible to his account according to data slice settings so his scope may be limited to some subset of stats. If a user is given access to several servers and slices, he may request specific slice and server. This control has become part of users management feature set. To enable API for selected user, choose Control / Users management menu to see the list of users in your account. Clicking on Edit link will bring a user details dialog. 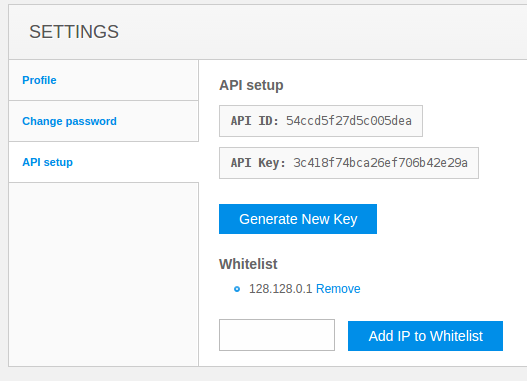 Click on API access check box to see API ID and API key. A user may use them for further requests. User details with API access parameters. You may re-generate API key in case of security concerns or just disable it any time. Once the access is given, the user may go to Settings menu to API setup tab to see the API ID and generate the key for further usage. He may also control his own white list to access the API. End-user settings for API access. User will be able to send requests and get data according to his access level. You may give this access to some non-admin user as well as create separate admin user specifically for API requests. Our team continues working on a Please also check full set of APIs. Let us know if you have any cases which need to be covered to build flexible streaming infrastructure.